Phil Ivey has returned to Full Tilt Poker with a new screen name, playing under the moniker of Polarizing and enjoying recent winning sessions. 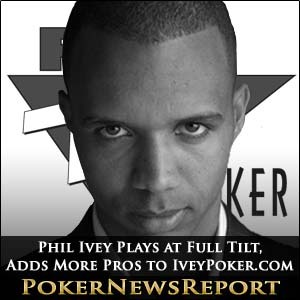 It is not typical for Full Tilt to allow screen name changes, but the resurrected site cited exceptional circumstances in permitting Ivey to make the switch due to his former status as a sponsored Full Tilt pro, it was reported by highstakesdb. The name change was revealed to a player known at the tables as ioi, who received an email from Full Tilt stating that it is important to make this player’s opponents aware of the change to avoid any unfair advantage being gained. The email pointed out that disclosing screen name changes of opposing players was not our standard procedure, but saw fit to do so in order that ioi knew who he was up against. Ivey’s return as Polarizing allowed the eight-time WSOP bracelet winner to add another $200,000 or so to the $19 million he has won at Full Tilt over the years. That success has prompted Ivey to establish IveyPoker.com, a website designed to coach and instruct players to excel at poker. 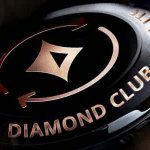 The website is currently in the final stages of developing an innovative social poker game which also includes poker training content from some of the world’s top pros. Those top pros include seven new players who were recently added to the IveyPoker.com roster. Balazs Botond, Gillian Epp, David Peters, Josh Brikis, Matt Giannetti, John Eames, and Jonathan Tamayo have all joined Team Ivey to fulfill Ivey’s goal to teach the world to play better poker. Those seven will provide training along with the five previous Ivey hand-picked pros of Patrik Antonius, Greg Merson, Cole South, James Dempsey and Jennifer Harman. With Ivey at the helm, the roster has now been bolstered to a baker’s dozen of 13. Ivey Poker is going worldwide and we are happy to announce the most recent additions to Team Ivey, the website stated. Though no official launch date has been announced, IveyPoker.com encourages players to visit the site frequently to avail themselves of the latest in Ivey Poker news.